You Spice Up My Life! Oreo, Dark Chocolate & Strawberry Sundae with two Spoons!!! To book, simply fill out the form below or phone the Maggie May’s you wish to dine at. Any Special Requirements or Info? Please note this form is only for bookings after 4pm. We normally don't take bookings before this time but if you get in touch with the cafe you would like to dine with by phone or via the contact form here. We really appreciate people getting in touch and telling us about their visit to Maggie Mays. It helps us improve our food & service. If you have enjoyed your visit, it is very much appreciated if you can leave us a review on TripAdvisor for the appropriate Maggie Mays. Positive ratings on TripAdvisor really help our business. Links to each Maggie Mays Trip Advisor are on this page. If, for whatever reason, you felt that your visit to Maggie Mays was below a very high standard we would really appreciate if you get in touch and tell us what went wrong. This will allow us to act on the problem much quicker. 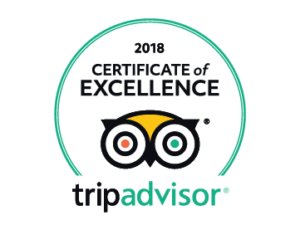 We hope to be able to add a TripAdvisor Certificate of Excellence very soon for our new Cafe in the City Centre!